- 14 day free trial. - 1 year Full Access license. Option 1. "Not registered user"
What to do: No registration is required. Use our decoder for free. When you access licensed functionality you will get a warning message. Option 2. "14 day free trial"
What it means: user who has submitted his/her email but has not paid any subscription fee. What to do: To Register enter your email below and click "Submit"
You will receive a confirmation e-mail. Please follow the instruction listed in the e-mail. you can use the same e-mail address which you have used for the preivious registration. Option 3. "1 year license"
What it means: user who has submitted his/her email and has paid subscription fee. Once we receive your payment we will be in touch with you to setup and configure your account. 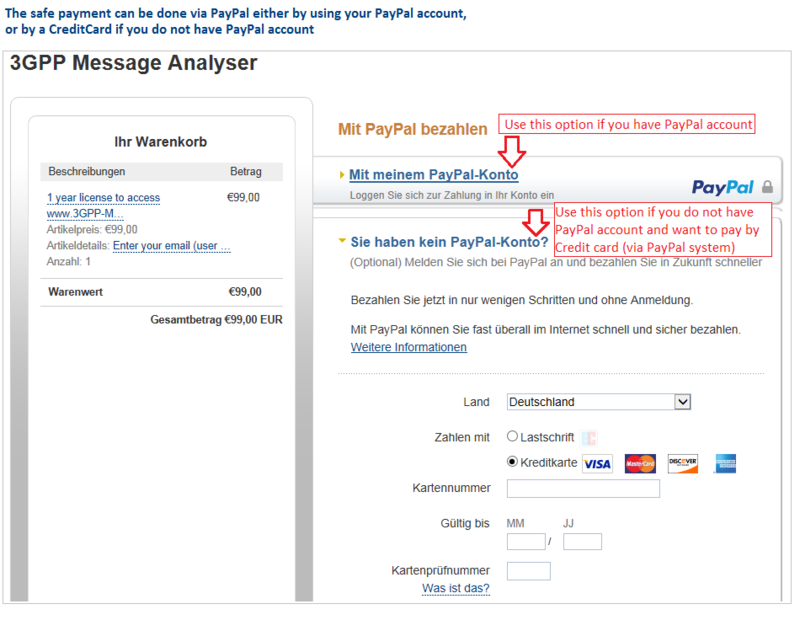 If you do not have PayPal account, you can make payment using Visa or Mastercard via PayPal by pressing button "BuyNow". See the instructions here. Added decoding of SMS Message Content (GSM7 alphabet). Fix decoding of RRC Connection Setup Complete limited to the first 110 bytes. Are you interested in jobs in Europe?